Thank you for visiting this website. My books and blogs are labeled Christian Non Fiction. I just love to see you grow in your faith and I am thankful for the opportunity to offer great and practical tools for Bible, group and personal studies in plain, every-day language. READ MORE BOOKS - BE INSPIRED! At the beginning of 2018 I was presented with the Farsi language edition of my book Grace of Giving published by CIC Mission in the Republic of Georgia. 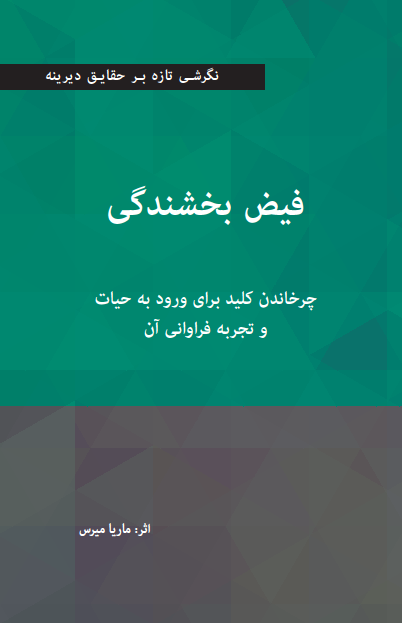 ​Now, a revised Farsi edition is available in Western Europe as well. In My Name is already the seventh book in a surprisingly fresh series about the Ten Commandments in the 21st century. Come, join me and find out there is a healthy, biblical balance between law, faith and grace. Well thought out and relevant to us today... a wonderful book you will certainly read often. Marja shares the historical background as she examines the definition of and the power within truth. Her gifted style resonates with readers across the globe. Marja delves into the nuances of being truthful ... she approaches the issues involved with a magnifying glass and sheds light on issues most people would only think about in passing.